Why have I not ever heard of this little gem of a movie before? 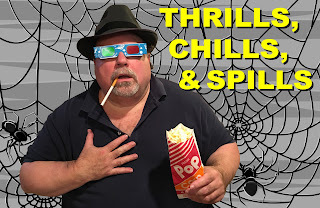 It’s nothing less than a classic Universal horror crazy quilt of fun! 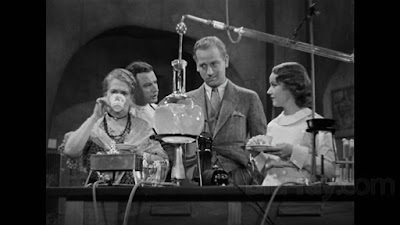 Much like Victor and Edward Halperin’s 1932 horror quickie White Zombie, which sought to “cash in” on Bela Lugosi’s newfound success in the months immediately following the release of Dracula, 1933’s The Vampire Bat finds famed B-studio Majestic cannily exploiting the monster craze that began with Universal Studios’ release of the classics Dracula and Frankenstein (both in 1931) and Warner Brothers’ release of Doctor X (1932) and Mystery of the Wax Museum (filmed in 1932, released in 1933). 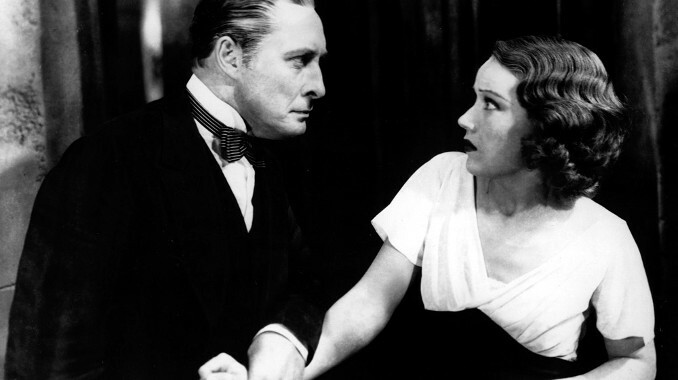 So Majestic gives us a plot and an actor (Dwight Frye) cribbed from Dracula; sets, costumes, and a (rented) Universal Studios backlot from Frankenstein; and the stars of Doctor X and Mystery of the Wax Museum, Lionel Atwill and Fay Wray (Wray had just starred in RKO’s King Kong the previous year.) For extra flavor, Majestic throws in Melvyn Douglas from James Whale’s 1932 film, The Old Dark House. Put this all together and you come up with the type of black-and-white horror amalgam that I might have dreamed up as a 12-year-old “monster kid” falling asleep atop a stack of library books about my beloved classic horror films. The Plot In Brief: Someone or something is killing the residents of Kleinschloss, a vaguely Bavarian village situated in Universalbacklotenburg. Could the problem be a recent infestation of bats? 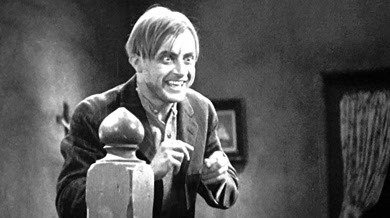 Could it be village idiot Herman Glieb (Dwight Frye), who seems to have a thing for bats? (He thinks they are soft and furry and loves to pet them.) Could it be police inspector Karl Brettschneider (Melvyn Douglas) settling some old scores? It couldn’t be kindly Dr. Otto von Niemann, could it? The good doctor seems so intent on helping the victims… and on helping himself to Brettscheider’s best girl, Ruth (Fay Wray). How on Earth will these mysterious murders ever be solved? The restoration on the new Blu-ray disc of The Vampire Bat is impressive. They began with another public domain, dollar-bin VHS eyesore and resurrected it into this highly watchable gem. Though the sharpness, grain, and amount of scratches vary from scene to scene, I cannot think of a single person familiar with previous releases of this film that would declare the new version less than glorious. The transfer alone should prompt some readers to take a good look, especially during Scary Movie Month. There is one way that The Vampire Bat is not trying to be a carbon copy of a Universal picture. Universal horror films were unique in that, for the first time in movies, the horror was presented as real, not “explained away.” Dracula really IS trying to drink your blood! Frankenstein’s monster really IS made of corpses! In countless silent horror films that had come before, the murderers or ghosts or monsters are revealed to be the stuff of dreams, or the work of cousins trying to screw each other out of an inheritance, or the schemes of an insurance investigator working a case. The Vampire Bat looks backward toward this simpler style. Though it has the outward trappings of a “sound” horror film (the cinematography, art direction, performances, and actual SOUND coming from the screen) The Vampire Bat keeps one foot firmly planted in that silent-era (era) tradition. 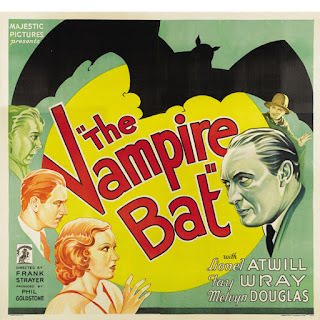 The Vampire Bat gives us a detective character attempting to explain away the horror straight from London After Midnight, the dime novel “who will succumb next?” trope from the last half of Nosferatu, and the “kindly old doctor who may or may not be so kindly” from The Cabinet of Dr. Caligari. But you won’t be watching (and, I predict, enjoying) The Vampire Bat for its plot. You’ll be watching to grab another 63 minutes basking in the “Universal horror” glow that Majestic recreates here. It’s like opening up your favorite book of scary stories and finding, to your surprise, one at the back you never read. Why are you still reading this? 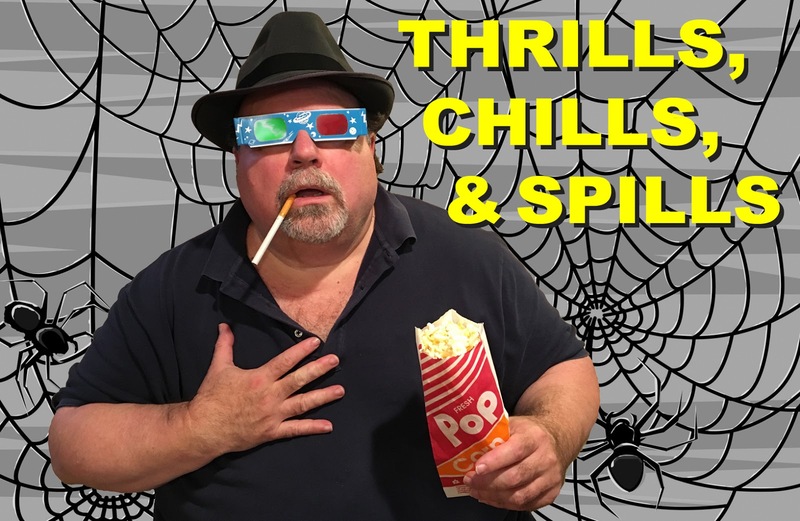 This will be the best 20 bucks you spend during all of Scary Movie Month; buy this now before a bat bites you. This sounds fabulous! I was really happy when I accidentally stumbled upon The Old Dark House in my University library. I never knew it was in there and I always wanted to watch it. It was my wonderful discovery so far this month as it was so enjoyable. Anyway, this film is on UK Amazon too so yay! Thank you for the recommendation. I love Universalbacklotenburg! I FINALLY got my copy of the restored edition. And I was surprised at how clean it looks. Well worth the expense, I am happy to have upgraded. Glad you discovered it too.